This is a throwback to Evol's old news posts. Great for community engagement and stupidly abandoned in 2016. But this is 2019 and I will write a news post if I want to, dammit. Here's what's going on. Buckle up. Development speed is steadily picking up! Special thanks to Micksha, Jesusalva and Tomminator for this. Check out activity on GitLab to stay up to date with what's being developed. Your poetic talents and/or Irish cheer are required for Prsm's 2019 St. Patrick's Day limerick competition. Good luck! 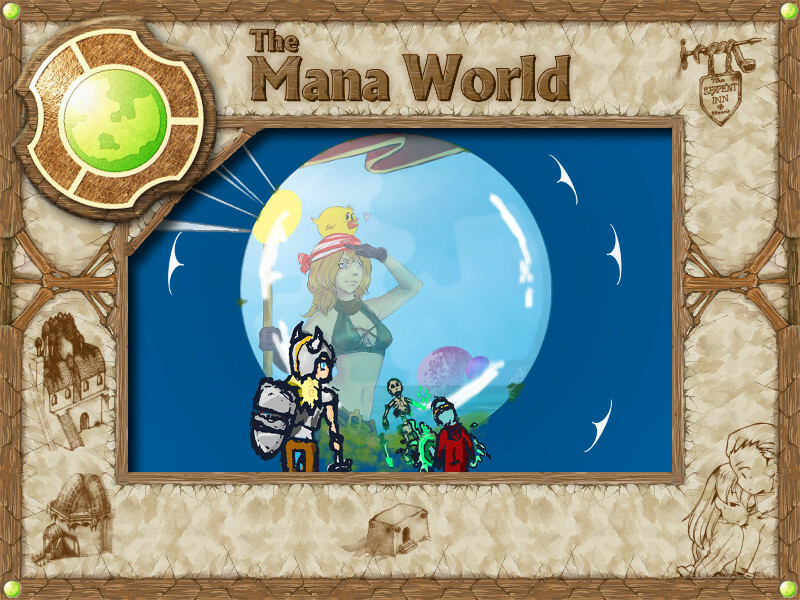 11th April 2019 will be The Mana World's 15th birthday. Stay tuned for birthday celebrations and also feel free to throw your own party, as long as I'm invited. Hello to everyone, regardless of gender or race. Yes, I am addressing the shy Tritans among us! Oh, your dog might also interest on this. So, the last edition of this newspaper was in March 1st. It was about 45 days ago, so lets do another new post! So, here is the current progress report for rEvolt server. Well, so I would love to bore everyone to death, telling about how many placeholders we've added this past period. From adding a hideout on Artis (where? it is a secret of course) (to contraband Nutella-err, fight against the Legion), to several bugfixes and bringing Wyara back... Adding minimaps to most maps while still keeping Rossy's caves a secret, improving several minor things and add some skills (because, seriously, we are the MANA world. A mana world without magic makes no sense, right?). But thing is, I can't. ....But I don't have time for that, because in case you just said "Neat, there are progress bars on the picture", there is also due dates. This means, as our (late) TMW birthday gift to community, we decided on a deadline. You know, thing is - not even the developers can wait yet another whole year for this game to be playable. Anyway, gotta stop chat, we have a game to finish if we want to be able to call it The Mana World. Do you know what makes The Mana World, The Mana World? Here is a hint: It is not the name. It is not the quests. It is not the graphics. And it is not the player data either.